The same U.S. Navy SEAL team that killed Osama bin Laden parachuted into Somalia under cover of darkness early Wednesday and crept up to an outdoor camp where an American woman and Danish man were being held hostage. Soon, nine kidnappers were dead and both hostages were freed. President Barack Obama authorized the mission by SEAL Team Six two days earlier, and minutes after he gave his state of the union address to Congress he was on the phone with the American's father to tell him his daughter was safe. The Danish Refugee Council confirmed the two aid workers, American Jessica Buchanan and Dane Poul Hagen Thisted, were "on their way to be reunited with their families." Buchanan, 32, and Thisted, 60, were working with a de-mining unit of the Danish Refugee Council when gunmen kidnapped them in October. The raiders came in quickly, catching the guards as they were sleeping after having chewed the narcotic leaf khat for much of the evening, a pirate who gave his name as Bile Hussein told The Associated Press by phone. Hussein said he was not present at the site but had spoken with other pirates who were, and that they told him nine pirates had been killed in the raid and three were "taken away." A U.S. official confirmed media reports that the SEALs parachuted into the area before moving on foot to the target. The official said SEAL Team Six carried out the mission, the same team that killed al-Qaeda leader bin Laden in Pakistan last May. The raid happened near the Somali town of Adado. New intelligence emerged last week that Buchanan's health was "deteriorating rapidly," so Obama directed his security team to develop a rescue plan, according to a senior administration official who was not authorized to speak publicly. A Western official said the rescuers and the freed hostages flew by helicopter to a U.S. military base called Camp Lemonnier in the Horn of Africa nation of Djibouti. Both officials spoke on condition of anonymity because the information had not been released publicly. Defence Secretary Leon Panetta visited Camp Lemonnier just over a month ago. A key U.S. ally in this region, Djibouti has the only U.S. base in sub-Saharan Africa. It hosts the military's Combined Joint Task Force-Horn of Africa. Buchanan lived in neighboring Kenya before Somalia, and worked at a school in Nairobi called the Rosslyn Academy from 2007-09, said Rob Beyer, the dean of students. He described the American as easy to laugh and adventurous. Ann Mary Olsen, head of the Danish Refugee Council's international department, informed Hagen Thisted' family of of the successful military operation and said "they were very happy and incredibly relieved that it is over." 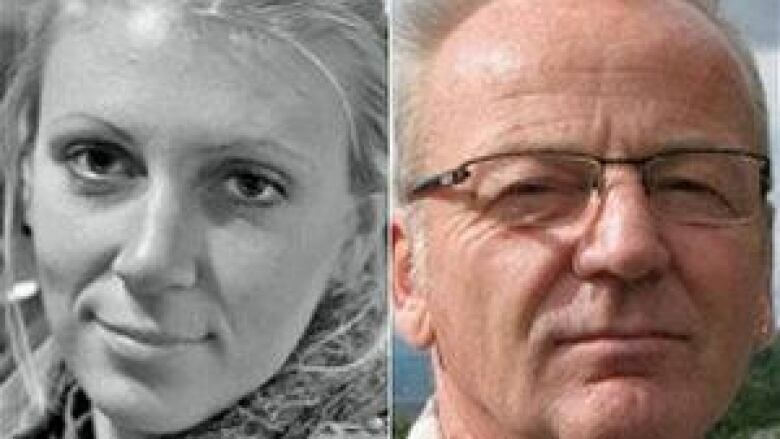 The two aid workers appear to have been kidnapped by criminals, sometimes referred to as pirates, and not by Somalia's al-Qaeda-linked militant group al-Shabab. As large ships at sea have increased their defences against pirate attacks, gangs have looked for other money making opportunities like land-based kidnappings. "We are really happy with the successful release of the innocents kidnapped by evildoers," said Mohamud Sahal, an elder in Galkayo town, by phone. "They were guests who were treated brutally. That was against Islam and our culture ... These men [pirates] have spoiled our good customs and culture, so Somalis should fight back." Buchanan and Hagen Thisted were seized in October from the portion of Galkayo town under the control of a government-allied clan militia. The aid agency has said that Somalis held demonstrations demanding the pair's quick release.